in bloom . 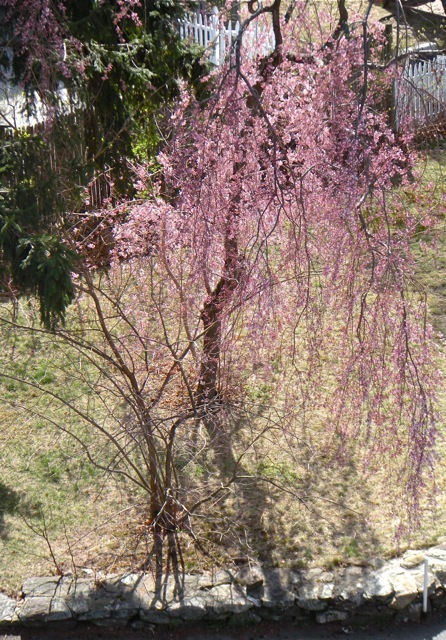 . .
We have a weeping cherry tree in the front yard that usually blooms around the first three days of May every year. 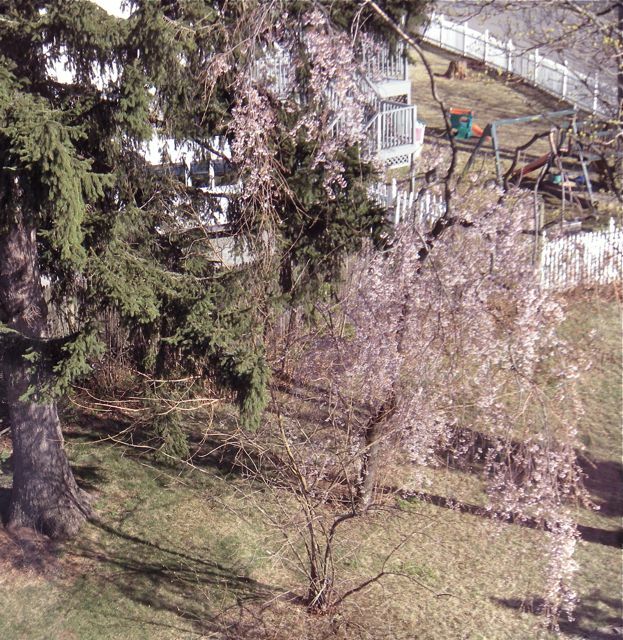 These photos were taken, Monday, March 26th, on the second day of the tree’s blossoming. Last night, it was 26 degrees outside. So let’s enjoy these gorgeous images while they last. Follow-up photo taken, Thursday, April 5th, on the 10th day (still) in bloom! thanks, a., the hellebores are blooming as are the narcissus and daffodils. 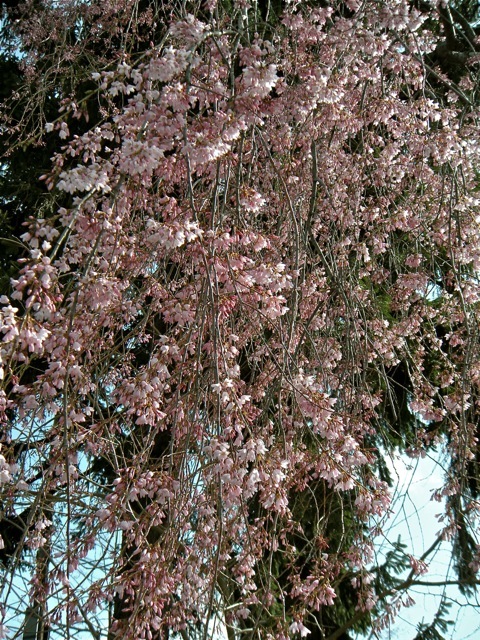 looks like the cherry tree is holding its own too on its fourth day of bloom!